1-TDC Dual Action is a new generation of fatty acid oil technology with a different molecular structure and properties than fish oils and glucosamine. 1-TDC stands for its molecular name, 1-TetraDecanol Complex. It keeps joints, muscles, and gums healthy at a cellular level, beyond what traditional ingredients like glucosamine, hyaluronic acid, fish oil, green lipped mussels, tumeric, etc. can provide. While those ingredients can provide some benefits, results tend to be limited. 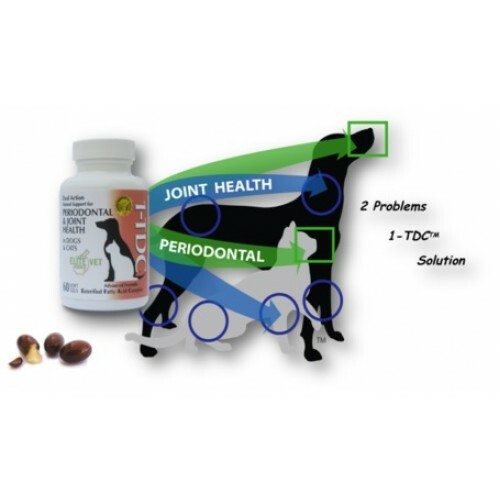 1-TDC works as a catalyst systemically, so it also promotes improved stamina and faster recovery for your canine athlete. You can can expect results after only a few weeks of use. Periodontal improvements can be seen as early as one week and steady improvement will continue over the next two months. Joint health improvements are typically noticeable in one week for small dogs and cats; two weeks for medium size dogs; and three weeks for large dogs. Again, steady improvement can be expected over the following two months. 1-TDC is a proprietary blend of fatty acids derived from beef tallow and are then formulated into a unique fatty acid complex in a cGMP food-grade facility in the USA. These fatty acids are much different than the essential fatty acids you find in products like fish oils. This unique product is highly and rapidly absorbed, whether applied topically on the gums or taken orally in capsule form. When 1-TDC enters the body, it has a tremendous affinity for white blood cells which allows it to get where it is needed quickly. And, when it arrives, 1-TDC efficiently does the job without interfering with other elements of your pet's health. 1-TDC is very palatable. 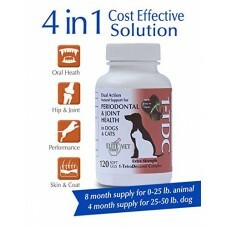 Many dogs and cats will take 1-TDC soft-gel capsule just like a treat. 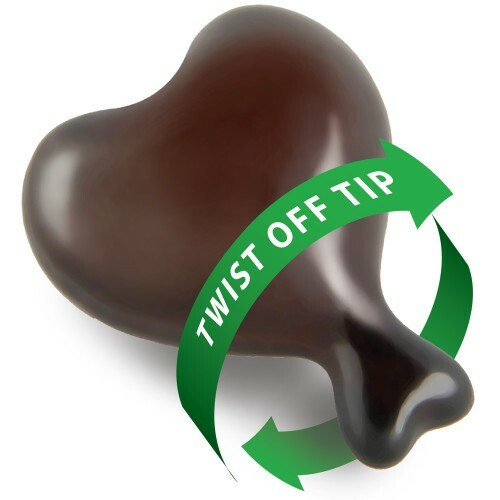 Some love to chew the soft gels, or you can twist open the gel capsule and squeeze out the contents for your pet. For an unusually finicky pet, squeeze out the contents and apply it to the animal's nose so he'll lick it off. This supplement can be used with both dogs and cats. 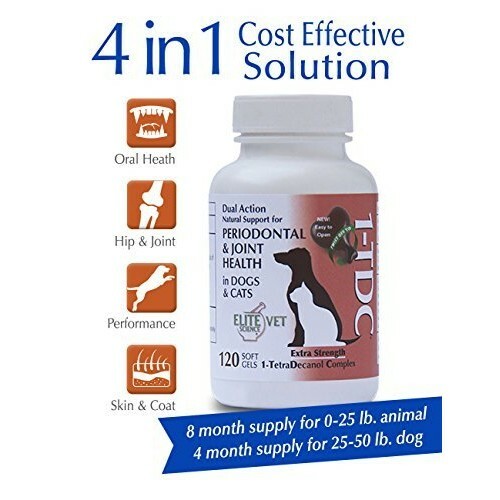 Safe, natural, and effective, 1-TDC Dual Action can be used with other products, including products prescribed by your pet's health care professional. In many cases, 1-TDC Dual Action works so well that it eliminates the need for other supplements. Elite Science offers a 100% satisfaction guarantee so you can return the product to us for a refund if it doesn't work for your dogs. For research studies on 1-TetraDecanol Oil, go to www.elitesciencevet.net/pages/clinical-research. There are studies from the medical Journal of Periodontology and the equally notable scientific journal, The Journal of Rheumatology.